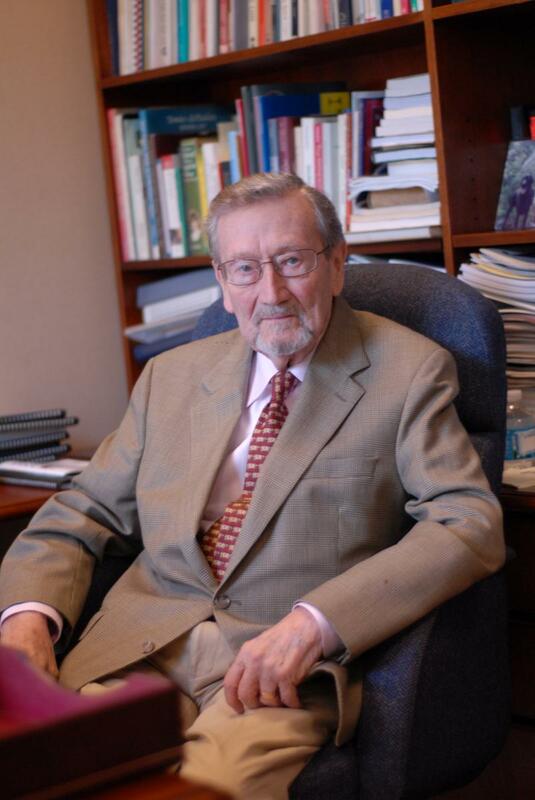 DAYTON, OHIO—Robert J. Kingston, a senior associate at the Kettering Foundation for more than 30 years, died August 20 at Hospice on Long Island, New York. He was 87 and had been in failing health for the past year. Kingston was born in January 1929 in London, England, grew up during the Great Depression, survived the London Blitz, and stood on the city’s rooftops as a teenager to watch German “buzz bombs” destroy much of the community. After secondary school, he served two years in the British Army of Occupation in Germany and rode the “air-lift” in and out of Berlin during the Russian occupation. Kingston studied English literature at Oxford, where C.S. Lewis and J.R.R. Tolkien were among his professors. He earned his degree with first-class honors. After graduation, he remained at Oxford as an assistant tutor in the International Graduate Summer School for two years. Kingston came to the United States in 1954 on a one-year international faculty exchange program to teach Shakespeare at the University of Michigan. Not ready to return to England after a year in Ann Arbor, he taught English at Vassar College in Upstate New York. A frustrated Shakespearian actor, he spent every weekend in New York City. He later taught at Brooklyn College, then at Manhattanville College of the Sacred Heart, where he became a professor of English. He was interested in curricular reform and consulted with several New England liberal arts colleges. Manhattanville subsequently won a $1 million grant from the newly established National Endowment for the Humanities (NEH) for educational reform. In the late 1970s, he left government service to become president of the College Board, then joined the Kettering Foundation’s extended family as executive director at Public Agenda, a New York City based innovative public opinion research and public engagement organization. Kingston’s first wife, Edith, died in 1987. In 1991, he married Carol Vollet, an internationally experienced designer of sets and costumes for prominent choreographers. She teaches painting and drawing at a university and community college on Long Island. He is survived by his wife, Carol, and two stepdaughters, Victoria Richard and Alexandra Stevens; Victoria’s husband, Shane, and their children, Samantha, Luke, and Sacha; Alexandra’s husband, Brian, and their children Sabrina and Kodi; and his most beloved dogs, Tate and Whitney. A celebration of Kingston’s life will be held in October.